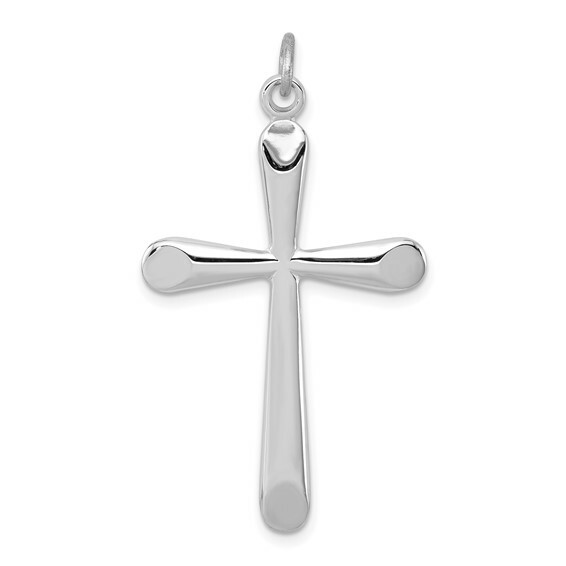 Sterling silver cross pendant has sloped tips and tapered arms. Measures 1 1/4 inch tall by 7/8 inch wide without bail. Chain not included. Weight: 2.25 grams. Made in USA.